Celebrate the upcoming July 4th holiday with a fun-filled, action-packed experience at the Daytona International Speedway. 4th of July weekend means racing under the lights at Daytona, and this year the world’s first motorsports stadium will make its July racing debut with the NASCAR XFINITY Series in the Subway Firecracker 250 on July 1st. Following the Firecracker 250 will be the Daytona Coke Zero 400 on July 2. In addition to the pageantry and patriotism of the weekend, this fan-favorite event includes some of the most thrilling racing of the season as drivers lock in three-wide battles, intent on the elusive Daytona victory. If you’re wondering what the Sprint Fan Zone is all about… it’s definitely the ultimate experience for any race fan. You get an exclusive look inside the garages, along with driver appearances, pre-race access, live entertainment, autograph sessions, and more. Fan-friendly and hands-on, this is a terrific experience for race fans. The Sprint Fan Zone is the hub of race weekend excitement as fans descend upon a spot that’s long on old-school charm, yet not short on modern amenities. There’s no doubt that The Daytona International Speedway is the place to be for race fans, and even those sports fans that want to experience – at least once. TicketsatWork.com has great savings for a sensational duo of races that will make your July 4th celebration the best. 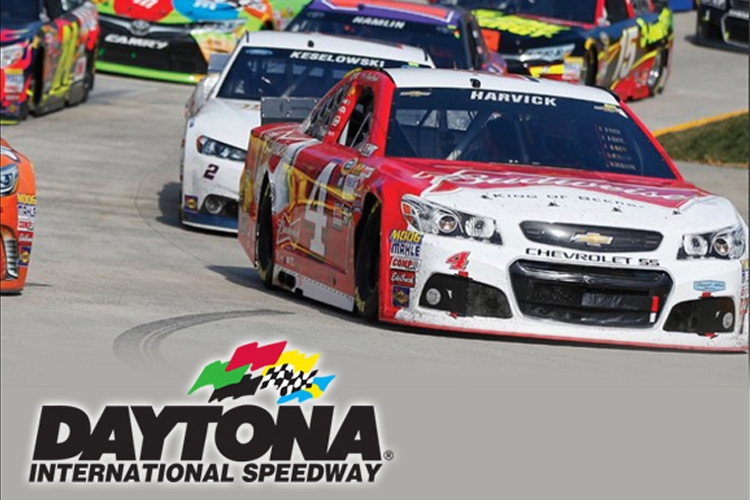 Visit TicketsatWork.com today for amazing NASCAR savings!